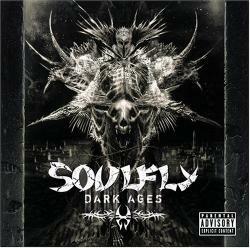 The new Soulfly album, Dark Ages, was released today. This is their fifth album release since vocalist/guitarist Max Cavalera split from Brazillian thrashers Sepultura in 1997. Cavalera seems to have rediscovered his roots in thrash with this album, it is dark, brutal and unrelenting in its delivery of quality thrash metal. And yet at the same time it is in places both delicate and beautiful. Give God thanks and praise! There are so many metal and rock bands and artists these days ‘coming out’ as Christians, or who are, at least, expressing their spirituality in their music and lyrics, it is quite an exciting time to be involved in both faith and music. There was a time when invoking The Lord at Donington [a major annual rock festival at Castle Donington] would have resulted in a hail of abuse and piss bombs. But in today’s metal scene, Christianity is everywhere … Dave Mustaine of Megadeth claims the inspiration for his latest album came from The Bible. Meanwhile, newer bands like Norma Jean and As I Lay Dying are winning over metal scenesters as well as devout church-goers. Even Slayer’s Tom Araya recently spoke of his belief in an “all-loving God”. Something strange and unexpected is happening. From the soaring, redemptive anthems of Killswitch Engage to the righteous savagery of Still Remains, it’s almost as if Christianity has become … cool. Which seems to be reflective of the current spiritual climate and openness about spirituality, I think. I’ve spoken with a lot of people recently, of all ages, who have little involvement in the established church but who are nevertheless continuing to struggle with the question of their own spirituality, about how to live a life of faith, and who don’t perceive that these are questions that the Church is interested in. It is almost as if rock stars have become our modern day prophets, pointing out injustices, pointing people to God. And unlike church leaders, unlike politicians, it doesn’t feel as though (most) rock artists have an agenda. It feels as though there is an honesty and integrity about what they are saying. And their faith, as conveyed through their lyrics and music, also feels natural. It feels to be a part of their everyday life, not something that is reserved for a particular day (Sunday) at a particular time (10:30am for an hour). And that speaks to me, for one, a lived-out faith in all its complexity, in all its depth of emotion, within a life that at times feels dark, brutal and unrelenting, and yet at the same time it is in places both delicate and beautiful. And in the midst of this life, dear God, I feel your presence every day. It’s so real in every way. Give God thanks and praise! As a Christian, long time rock fan, and music photographer, this is great to see. I hope to get to work with some of the excellent emerging christian bands. What I really like about soulfly is their songs, it have a strong message to the people that prompt them from reality. 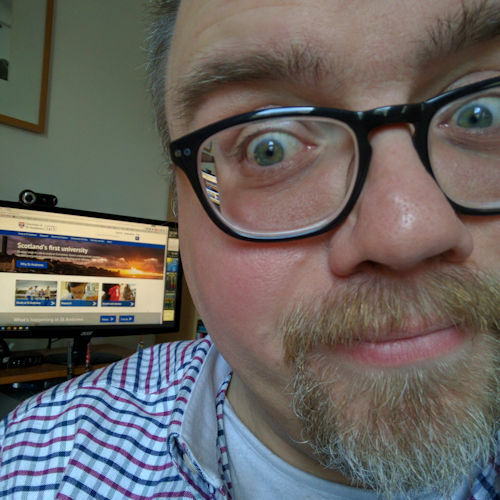 Previous Previous post: My ‘missing’ phone wasn’t even ordered!